​The Society for Catholic Liturgy will celebrate its twentieth anniversary at the Sheen Center for Thought and Culture in the heart of Manhattan ​with a conference exploring how the Church’s sacred worship is dignum et iustum, right and just. What is the history of the phrase dignum et iustum in the Western liturgical tradition? What are the principles of sound liturgical translation? What does it mean to say that giving thanks to the Lord is “right” and “just”? Liturgy and morality are usually treated as unrelated subjects. How is liturgical worship “just”? How does one “do justice” to God with sacred art, sacred music, or sacred architecture? What is “appropriate” worship, or what is worship that is worthy of God? What is “appropriate” in sacred art, sacred music, or sacred architecture? 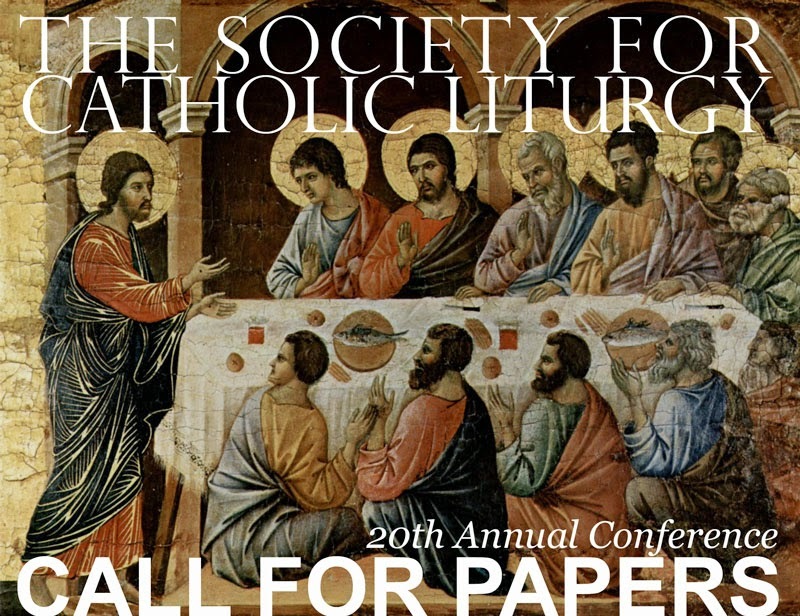 Submissions: Paper proposals of approximately 250 words should be emailed to secretary@liturgysociety.org or mailed to Mr. Christopher Carstens, Board Secretary – Society of Catholic Liturgy, Diocese of La Crosse, PO Box 4004, La Crosse, WI 54602-4004. Proposals must be received by June 30, 2015. Presentations will be 45 minutes in length, followed by 15 minutes of discussion. 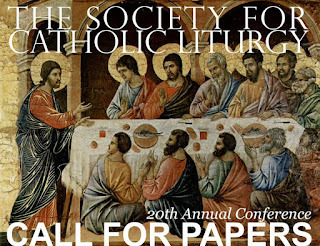 Papers presented will be considered for publication in the Society for Catholic Liturgy's journal Antiphon. Presenters must register for the conference and will be responsible for their own expenses.